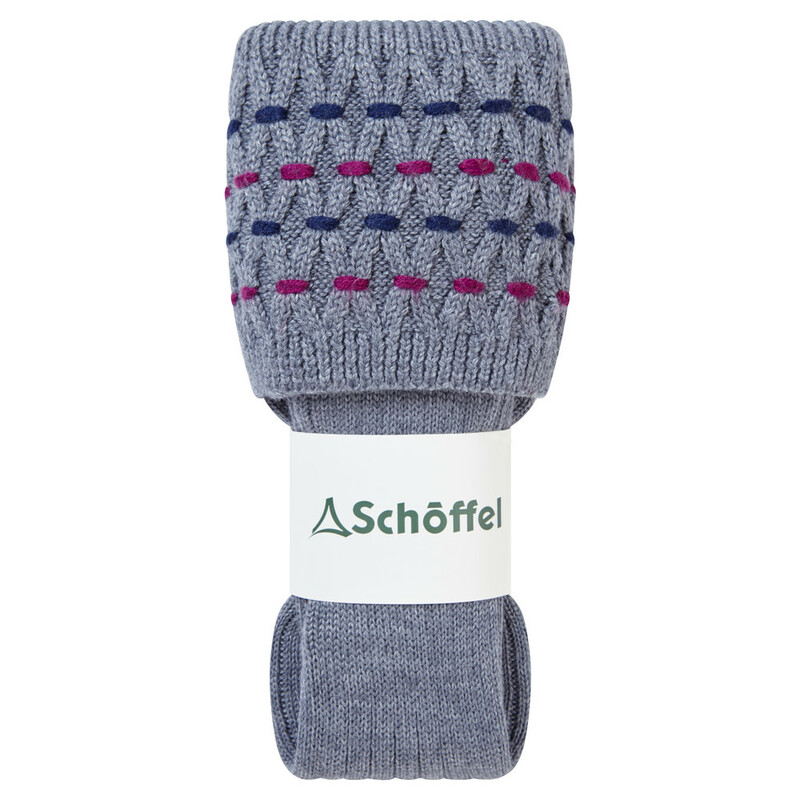 Crafted from a fine blend of Merino wool with added Lycra for enhanced stretch and fit, the Schoffel Stitch Socks are thick, warm and cosy, whilst being breathable and comfortable next to the skin. Designed to fit perfectly over boots or wellies, these ladies shooting socks are extra-long with a stich detailed cuff, perfect to roll over the top of your boots. Featuring a reinforced heel and toe, these wool socks are designed to be hardwearing and durable, perfect for long country pursuits. Available in a range of pretty colours, these socks are a great addition to your countryside essentials.